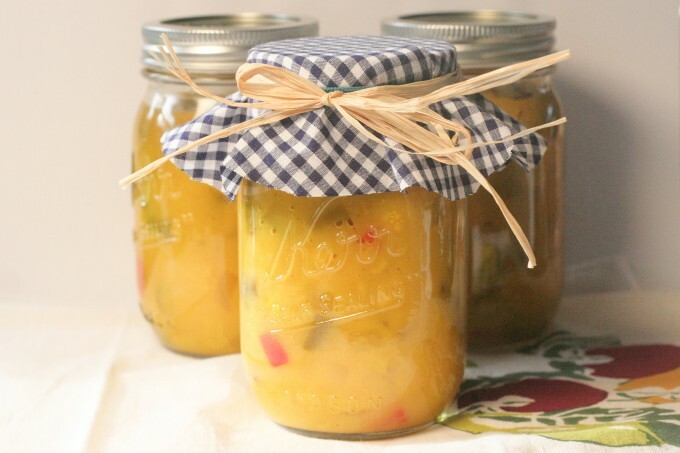 This Sweet Mustard Pickles recipe comes from my mother. It is another one of the recipes that Mum learned at Teachers College. 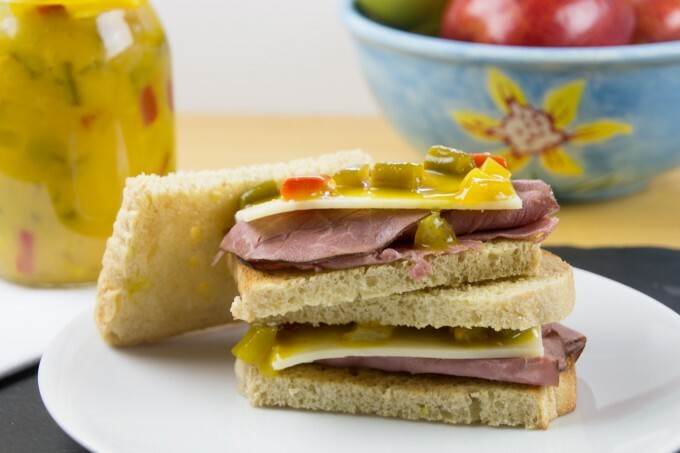 These pickles were always one of my Dad’s favorite spreads on a meat sandwich – and I have followed tradition. I love the mix of spices which give these mustard pickles their unique flavor. 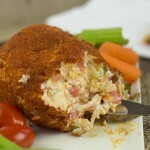 It’s one of those recipes that you find at country fairs or church fetes. Mum often makes it for church bake sales. Wrap the top in some gingham and it’s screams homemade deliciousness. I just love this little jar of pickles. Every time I see this picture, I see a red happy face. Do you see it too? Most of the work of making Sweet Mustard Pickles comes from preparing the vegetables. All of the vegetables need to be chopped up finely, and kept separate. 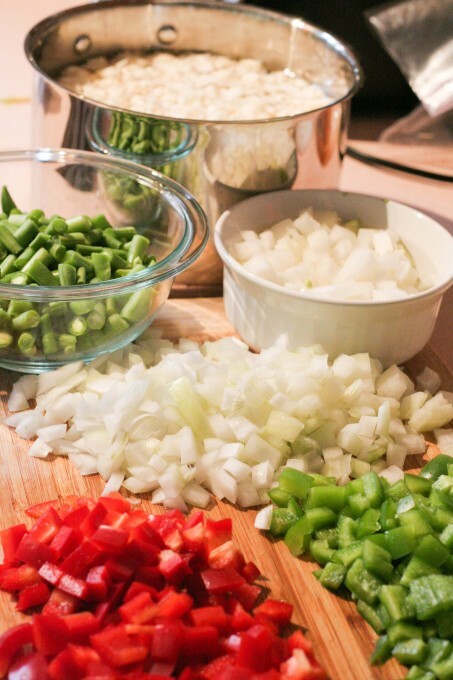 My recipe calls for cauliflower, green beans, white onions and red bell pepper. 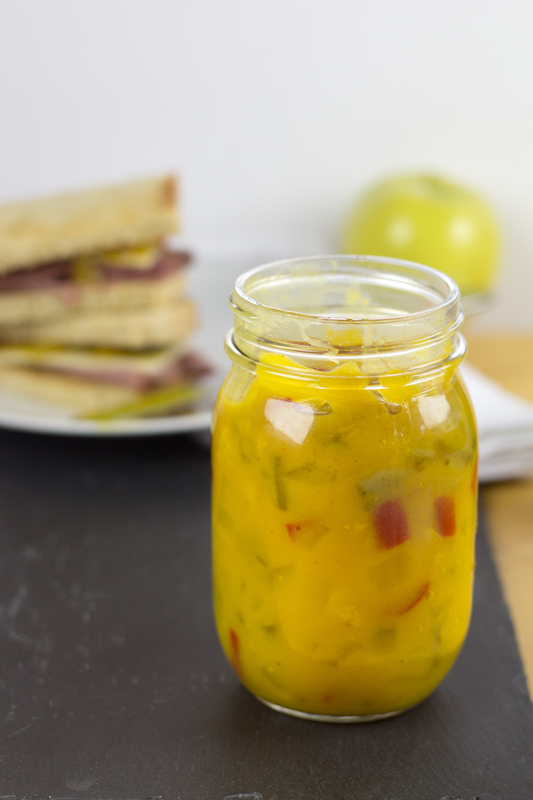 As you can see, I have also added green bell pepper for this batch of mustard pickles. All of the vegetables need to be partially cooked. Another word for this is blanching – and it simply means that the vegetable should still be crisp, yet cooked. You need to do each vegetable separately so that they retain their natural color. Cooking in salt water helps retain the flavor of the vegetables. After the vegetables have been partially cooked, they simply need to be laid out on a dish towel (tea towel) to dry and cool. Before starting to make the sauce, I get my pint jars sterilized. This just allows for some extra time for the veggies to dry out. Next we move onto making the mustard sauce. Place all the dry sauce ingredients (not the vegetables yet though!) into a large, heavy based saucepan and mixing them well. Now the water is added, plus just enough of the vinegar to make a smooth paste. You don’t want to add all the vinegar at once, other wise you will be dealing with lumps. Slowly add the rest of the vinegar, stirring to ensure no lumps form. 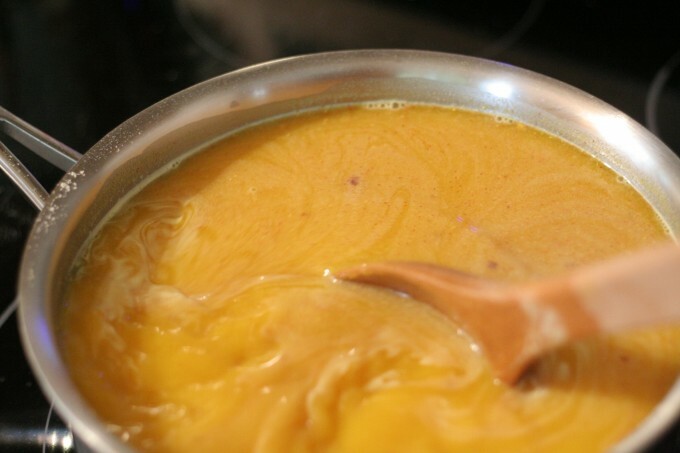 Next the mustard sauce needs to be stirred over a low heat until the sugar is dissolved. Once the sugar has dissolved, you can increase the heat and bring it to a boil. I had to switch pans at this stage, as I could not fit the vegetables into my saucepan. Start large to solve this problem! The vegetables are now added. Take a little taste, and add some salt if you like. Slowly bring the mixture back to a boil, and boil for one minute. Carefully ladle the mustard pickles into hot, sterilized jars, leaving 1/2 inch of headspace. Remove any air bubbles by running a plastic spatula between the food and the jar. Wipe down the lids to remove any sauce around the rim. Put the lids on, then process the pickles in a boiling water canner for 20 minutes. I have to throw in a word of caution here. Current canning guidlines DO NOT recommend using flour in any canning recipe. 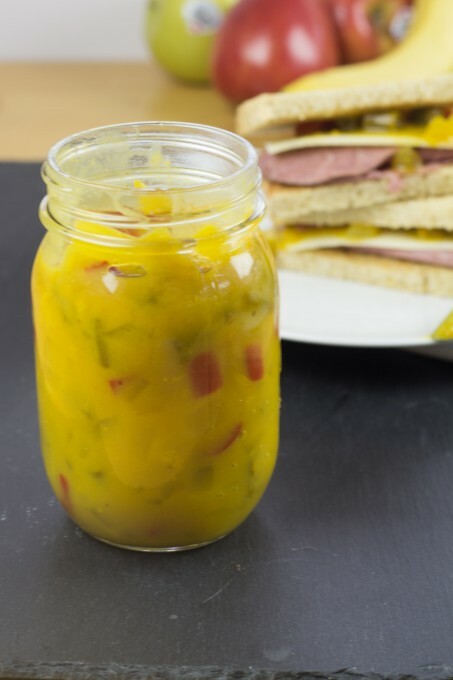 I have to admit that I still use flour – in fact I used rice flour for this batch of Sweet Mustard Pickles due to the fact that my love cannot eat gluten. Clear Jel is what is recommended by current canning guidelines as it can apparently tolerate higher heats. If you choose to use Clear Jel, you will need to reduce the amount of Clear Jel used, as the it calls for 1/4 cup per quart of liquid. (This works out to be 3/8 of a cup for this recipe). My mum doesn’t do any of these canning techniques and she uses the flour. She just simply fills the jars to the top, removes the air bubbles and seals the bottles. They still last the full 12 months. She’s of the school of thought that she hasn’t had a problem in the last 50 years with this technique so why change? 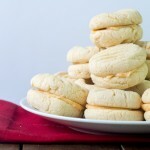 I go half way – and use flour but then try to follow canning guidelines. 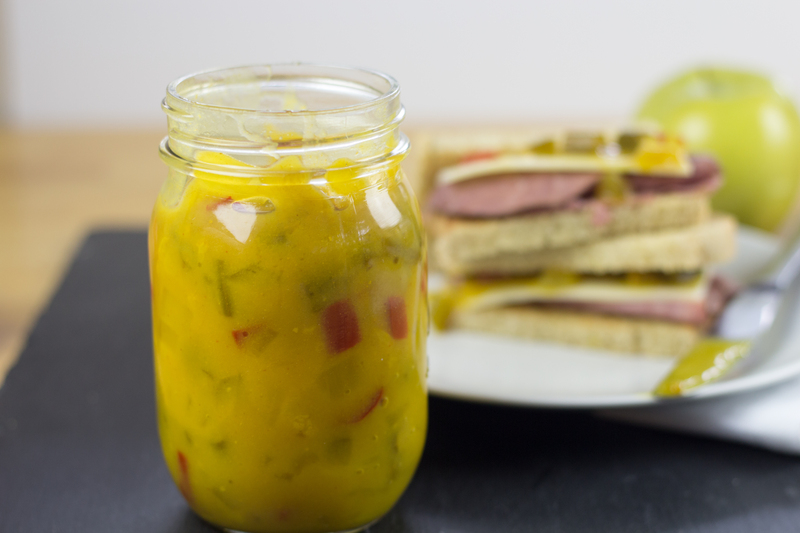 If you like mustard on your sandwiches, you are going to love these Sweet Mustard Pickles. Break the cauliflower into small flowerets. String and cut beans into 1/2 inch lengths. Peel and cut the onions into quarters. Finely cut the red bell pepper. Partially boil all the vegetables in salted water, separately, to retain color. 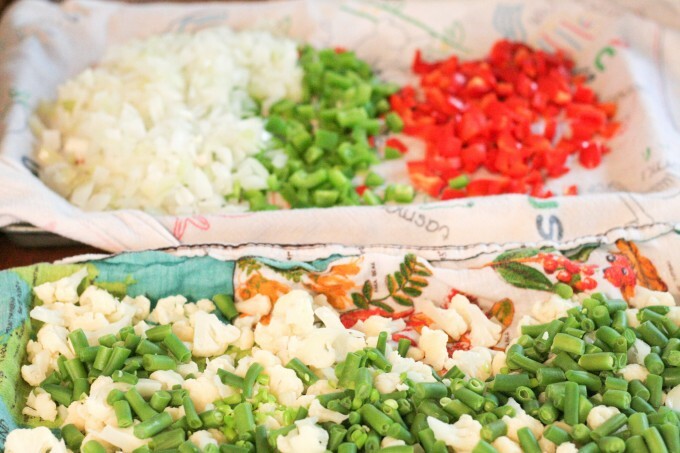 Strain and spread vegetables on a clean tea towel to dry, keeping the colors separated. Clean and sterilize 7-8 pint jars. 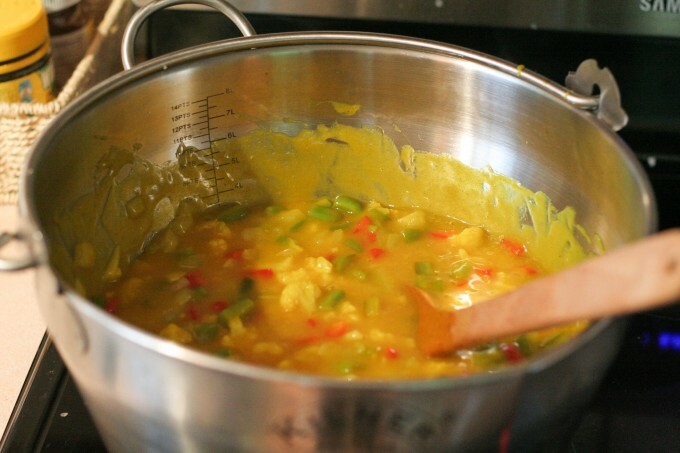 Place dry sauce ingredients into a large, heavy-based saucepan and mix well. Add the water and some vinegar gradually to form a smooth paste, free of lumps. Add the rest of the vinegar. Stir over low heat until the sugar is dissolved. Bring the sauce to a boil then simmer gently for 3-5 minutes, stirring continuously. Add the dried out vegetables. Salt to taste. Heat slowly, and boil for 1 minute. Carefully ladle mustard pickles into hot, sterilized jars, leaving ½ inch of headspace. Remove air bubbles. Wipe the lids and adjust the lids. Process in a boiling water canner for 20 minutes. 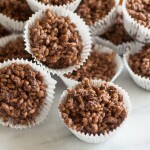 I’m looking forward to making this on the weekend. It’s a variation on the one my mother-in-law makes. And thanks for making it so easy to print out the recipe. Have fun making your pickles! I’ve seen some other variations too. This recipe was from a teachers college recipe book, so I’ve got to wonder if it was well known in the 50’s and 60’s. My mom used to make these pickles and I’m 77! I think the recipe was in common use, at least on the Canadian prairies, in the 1930’s. I didn’t see where it said how many cukes & onions per batch? Maybe I missed it. Hi Pam. 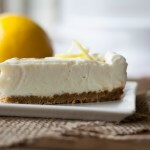 I don’t mention the amounts near the photographs, but if you scroll down to the bottom you will find the recipe which gives you all the amounts. It has 1 pound of onions and no cucumber. I hope that helps. The recipe is a bit off in the area of where you begin cooking. It says to add the veggies and then add water and vinegar but the picture does not show that. Am I missing something? Hi Carolyn. I can see where the confusion is happening. The veggies are not added until after you have made the mustard sauce. When I say to place all the dry ingredients into a large heavy based saucepan – this does not include the vegetables. I’ll change it to make it a little clearer. Thanks. I just wanted to thank you for creating this site. It is very hard to find a recipe for sweet mustard pickles that is this descriptive. Thanks Dan. I hope you enjoy your Sweet Mustard Pickles. Can mustard pickles be made with no flour? You do mention no flour in the beginning, but in your recipe you put in flour. I am mostly sensitive to all thickeners, eg wheat, corn flour, rice flour, and most of the gums that are used to thicken commercial foods. Would pectin work? Hi Louisa, Unfortunately I cannot answer that with certainty as I have never used pectin in this recipe. It could work, as pectin needs an acid and sugar to turn something into gel. The sauce contains both sugar and vinegar (and acid). My husband cannot eat gluten, so therefore I use rice flour to thicken mine. Have you ever made a gravy, white sauce or cheese sauce? If so, what do you use to thicken that? 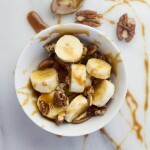 The flour in this recipe acts much the same way as the thickeners in gravy, and white sauces, so if you are currently using an ingredient to thicken those types of foods, I would suggest using that. Do you use the same amount of Rice Flour in place of regular Flour? Hi Edward – Sorry for the delay in responding. For this recipe, a straight swap works well. I’m an Aussie girl cooking in the US. Like your recipe . Better than Bundaberg CWA! I see them every now and then and they have been kind and asked me to dinner at different times – your dad’s chilli crab yum! Thanks Werona and all the best. My maiden name was Masters. 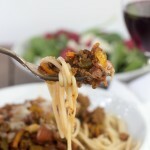 Hi Fay, I’m so glad you found this recipe! Mum is definitely the queen of the Sweet Mustard Pickles – we all love them. I’ll say hi to Mum from you next time we talk – I’m sure she’ll be thrilled that you found the recipe too! I have been looking for it, when I was younger my mom used to make it but she put corn in hers have you ever tried it with corn in yours? I know I loved it,so I’m going to try to can me some hopefully I’ll get it right and thank you again for the recipe. You are welcome. I have not tried corn, but that sounds delicious! 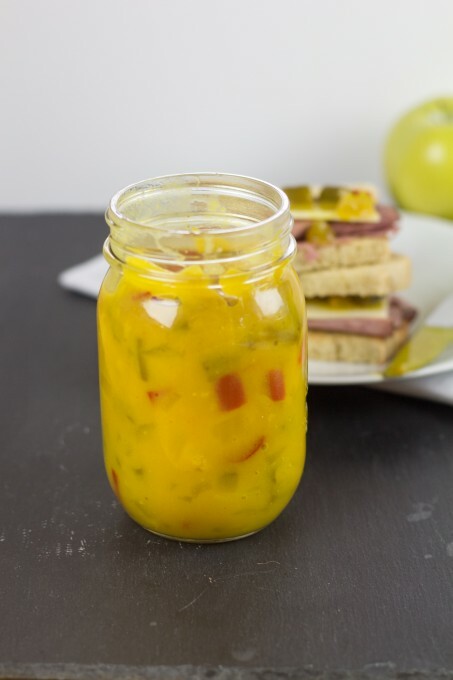 I’m an expat living in Memphis ….. Can order mustard pickles – but not always available so thought I’d try to make my own ……. How much pickle does your receipt make? … Need to make sure I’ve enough containers. Hi Paul, This made just under 8 pint jars (the ones that are about 7 inches tall/13cm high), so in total it was just under 1 gallon of pickles. 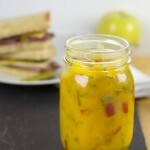 In looking for Mustard Pickle recipe I found this one and because I liked the great colour I’m going to give it a try. Rather than blanche ( I’m lazy”) I’m wondering about putting the veggies in a jar and then adding your sauce will that work? I didn’t notice any mention of the store bought pickling spice, maybe I could put those in cheesecloth and let soak in the vinegar? Hmmm maybe I’ve completely changed the recipe too much? My grandmother​ was from the Channel Islands. She use to serve this like a pickle tray at Sunday dinners. We’re talking 55 years ago. Her mustard pickle was not a relish. Same ingredients in the sauce though. She used whole silverskinned onions, cauliflower florets and whole small gerkins. The raw vegetables were packed into hot sterilized jars, covered with the sauce and then processed in a hot water bath. The pickles were semi crisp, just like dills. 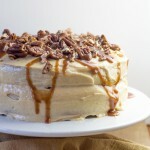 This recipe brings back fond memories of my grandmother. This would kill two birds with one stone for me – I usually add relish and mustard to my tuna salad when I make it, so this would make it so I’d take care of both of those in one fell swoop! 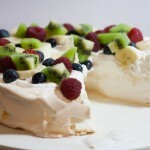 Thank you for sharing this recipe, it looks quite delicious! Hi! I’m from South Australia Australia and I’ve been looking for the Cavendish Season and can’t get it anywhere. So can you please help me to find some. Love your recipes. Thank you very much sweetheart. I’d like to reduce the amount of sugar. Will that have an effect on the length it will last in the bottles? What would the preservative be – the sugar or the vinegar? Just asking.